Menopausal weight gain can be extremely frustrating to deal with. It can be harder to lose weight, and with all of your other challenges during this transition, you may not want to commit to a strict regimen. While weight loss can seem daunting, implementing a program that works for you can turn it into an exciting challenge. When you make it fun, a healthy lifestyle shift is something you look forward to. 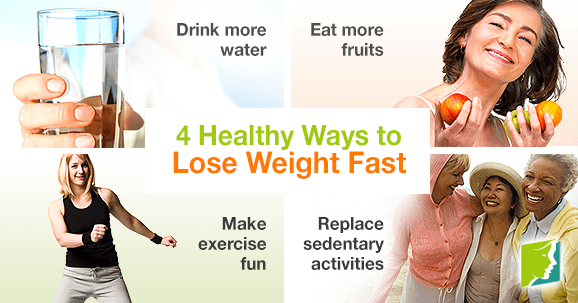 Adopt the habits explored in this article to feel fantastic and lose weight fast. Half of Americans consume sugary soft drinks daily. Not only does it affect energy levels, most sodas have ten or more teaspoons of sugar in them, which negatively impacts your health. Instead, drink more water. Drinking at least eight glasses of water daily is recommended for healthy hydration. For those who think water is bland, try adding slices of fruit to your water, such as oranges or lemons. This will give your water additional flavor. If you desire the effervescent bubbles typically found in soft drinks, try drinking mineral water. Adding fruit to your mineral water will make your drink a healthier, more refreshing alternative to soda. Typically when you mindlessly snack on chips, cookies, and crackers, your body is not actually hungry. The added calories, fat, and sugar, whether from boredom or a random craving, are large contributors to weight gain. Instead, try eating some fruit. The recommended daily intake is two cups daily, so that's plenty of snacking to keep you going healthfully. Tangerine, cantaloupe, and berries are great for speeding up your metabolism and burning fat, which will help you lose weight fast. For many people, running on the treadmill or using the weight machines at the gym can become tedious and boring, lowering your overall motivation to workout. Instead, try joining a dance or aerobics class. Zumba combines these two into a fun world-music dance-fitness fusion class, while providing a great cardio workout. Or, if you want something more calming, try a yoga class. The most common sedentary activities that people engage in are watching television, spending time on the computer, and driving. It's incredibly easy to spend an entire afternoon watching television or perusing social networking sites. However, these distractions can keep you from exercising or going outside. Instead, go for a walk, go out with your friends or sign up for volunteering. Also, instead of driving everywhere, walk or ride a bike whenever possible. Walking or riding your bike to do errands is an easy way of burning calories and in many cases, driving is unnecessary. As you're beginning your weight loss journey, remember to be kind to yourself. Weight loss begins with a positive mindset. Instead of getting caught up in media images of beauty or impossible diets and workouts, embrace wherever you are on your journey. Caring for your body and making it healthier is an act of self-love. For further information on how to lose weight during menopause click here. Weight gain doesn't end when menopause does. Click here to learn more.